Let me tell you a little story. A couple of years ago, we decided we needed to purchase some paracord as part of our preparedness supplies. Paracord is remarkable stuff. Strong as anything, it won't stretch even under extreme and sustained weight. Don did a fair bit of research and found the best price from a company that offered 1000-foot rolls. When my outdoor clothesline broke a few years ago in October, we figured we wouldn't bother putting up a new one until the following spring. However that meant all our clothes had to be draped on multiple clothes racks (since we don't use a dryer). But Don had a better idea: to build me a suspended overhead clothes rack that would hold about four full loads of laundry. (The constructed is documented here.) And what did he use to hold the hanging rack in place? Paracord!! Paracord was the perfect choice since it wouldn't stretch even under the groaning weight of multiple wet loads of laundry. 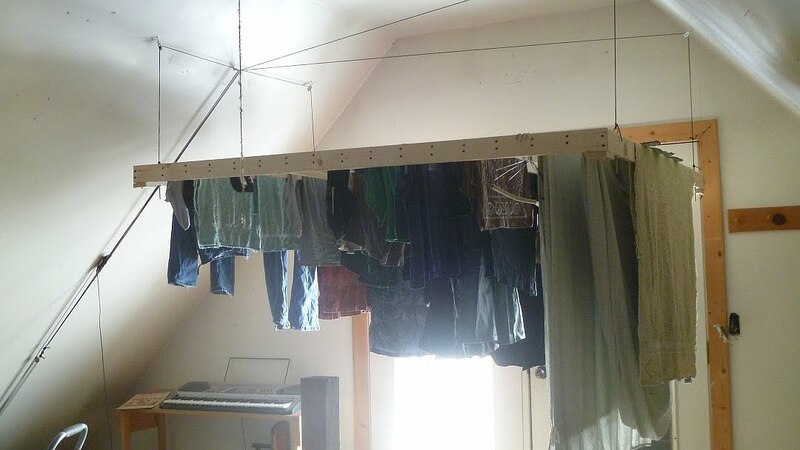 In fact, we've never gotten around to replacing the outdoor clothes line because the indoor rack works so well. So paracord, as you may have gathered, is used for dozens of things on our farm, from fashioning halter ropes for the livestock to patching fences. Okay, that's the history of our love-affair with paracord. Now fast forward to the Self-Reliance Expo of last weekend. I was sitting in the Backwoods Home Magazine booth when a nice fellow named Tom came up and introduced himself as an advertiser (since he thought I was on the magazine's staff). I told him I wasn't a staff member with the magazine, just a freelance writer, then joked that he was welcome to advertise on my blog. One thing led to another, I gave him my business card, he checked out the blog, and now here he is! I'd like to offer the warmest possible welcome to Camping Survival -- the very company we ordered our paracord from two years ago! Honestly, these people have the best possible prices for paracord on the block (as well as the highest possible standards of service). It's not just paracord this company offers. It's everything having to do with preparedness, camping, survival, and outdoor issues. They offer MREs, unusual canned foods (such as bacon and butter), knives, flashlights, rope, emergency kits... sheesh, the list is virtually endless. And all this wrapped up in a company that has a long track record of over fifty years in business. Besides, I just love it when we have advertisers whose products we bought long before they were advertisers. Click on their ad (on the top right-hand side of the blog) to investigate their amazing selection of products and even more amazing prices. Can't beat that paracord! This is my kind of shopping! Congratulations on the new advertiser, and welcome to them as well! I've looked at their site in the past but I'm always a tad leery of ordering from folks online. This is great to know (and my project-hungry husband and son will love the drying rack post too). 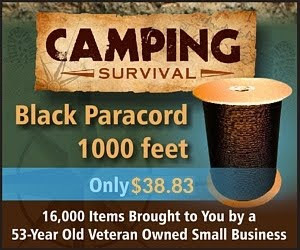 Paracord is useful stuff-tough, stands weather(I used the stuff for guy wires on an antenna tower 15+ years ago, and it's still there), and is readily available.Now you can get the stuff in pretty colors-I watched a guy weaving an assortment of items from multicolored paracord at a local festival last Fall.. Yes, it's quite heavy, so heavy that I don't bother trying to raise or lower the rack. It's pretty much permanently at a comfortable level for me to hang clothes. I think if we had used larger pulleys, it would be easier to raise and lower. Our friend Enola Gay (http://www.paratusfamiliablog.com/) has a hanging rack (ours is based on hers) that raises and lowers much more easily because it has larger pulleys.